If you know me at all, you know I am an avid RAZORBACK fan. And if you know that about me, then you know I am still recovering from the horrible loss to the Alabama Crimson Tide. As I was sorting through my emotions about that game and what I feel like it means to be a true fan, I decided to let all that passion for the team, the school, the tradition to show up as paint on canvas. 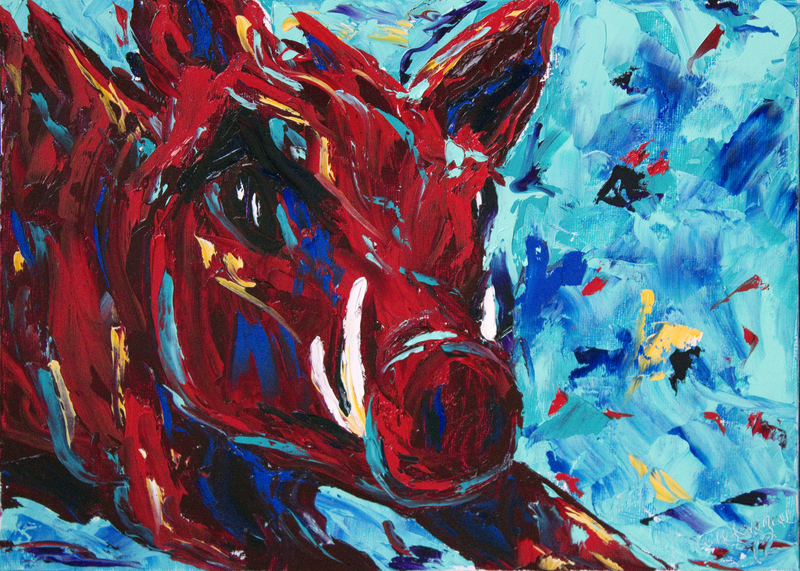 I threw in with that passion for the HOGS my love of color and voila....I created one intense razorback.